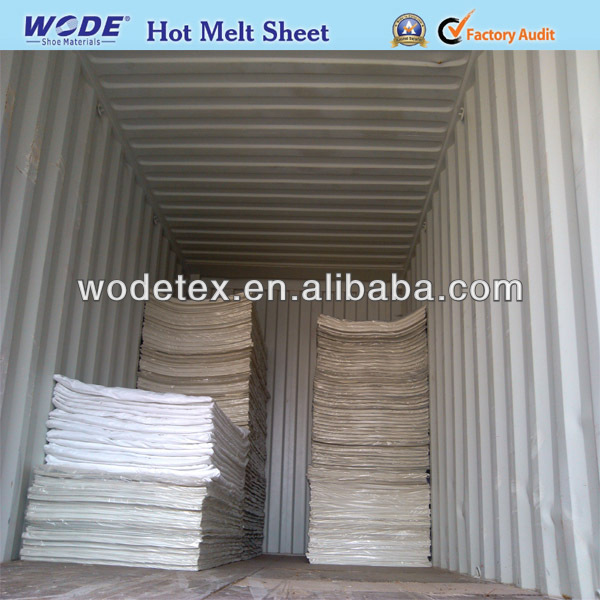 By polybag and by pallet are ok and outside with strong plastic bags. 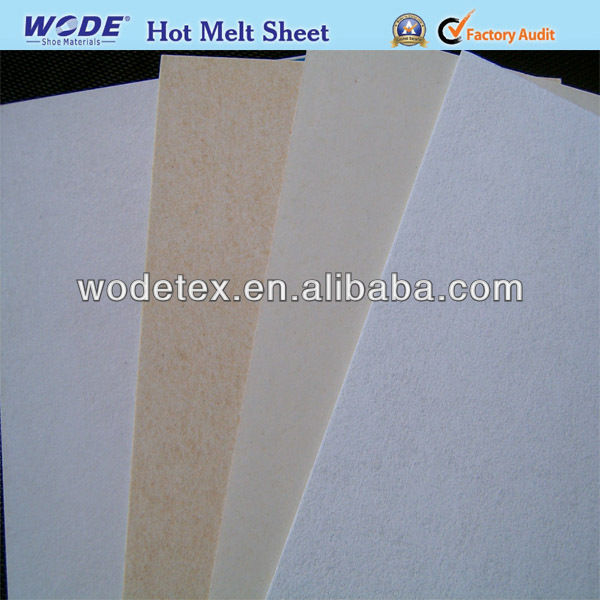 Hot melt sheet is made from good fiber, high quality gule and special ways and means. And we can produce top and medium grade products according to customer's requirements. 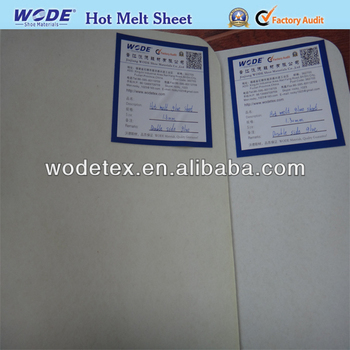 Hot melt sheet mainly used for shoe toe cap and back counter. Usage : leather shoes ,tourist shoes,soprt shoes, women shoes. By Roll : 36 " or 54" or 1.0M inches width. By sheet: 36" X 54" or 1M X 1.4M or 1M X 1.5M. ANY MORE QUESTION OR WANNA SEND AN INQUIRY? PLEASE LEAVE ME A MESSAGE BELOW!